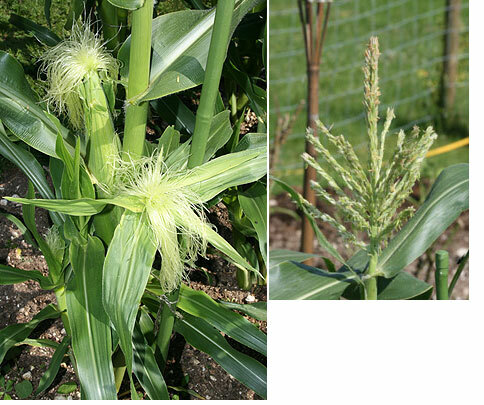 If you’re looking for an impressive vegetable to grow then you could do a lot worse than Sweet Corn. We always try to grow a few plants as we find they are particularly sweet straight off the plant. As soon as you cut a cob from the plant the starch starts to take over and the sugar starts to deteriote. Ideally you should leave the cob on the plant until you really need it. Our cobs are starting to grow to a decent size now and it won’t be long before we can cut them for the table! If you decide to grow a few plants you will need to give the straw like heads an occasional shake to fertilise the undeveloped cobs. Alternatively the wind will probably do the job for you.